Over the last four days I’ve been tramping in Mount Aspiring National Park near Wanaka. I started in the Matukituki River valley, an idyllic mountain valley with green grass, turquoise river, soaring glacier-clad mountains, and waterfalls pouring down from the sides. The bottom of the valley is used for sheep grazing, and while I normally am not too fond of these helpless little creatures, they sure do a good job of mowing the lawn, so to speak, resulting in beautiful grassy meadows. 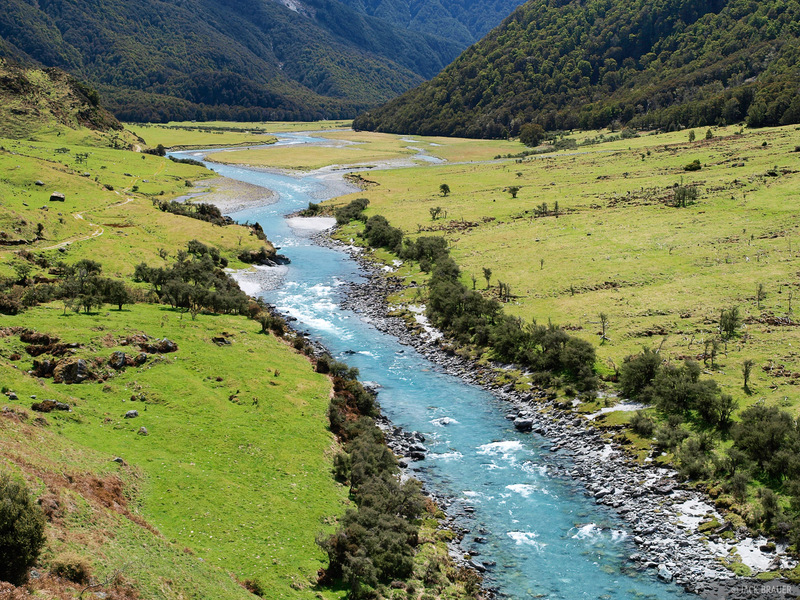 The West Branch Matukituki River flows out of Mt. Aspiring National Park through this paradisical sheep grazing valley. Anyways, I ended up hiking about 4,000 feet up out of the valley and camping in my tent up on Cascade Saddle, with huge views of Mt. Aspiring and the Southern Alps. Cascade Saddle still covered in spring snowpack. 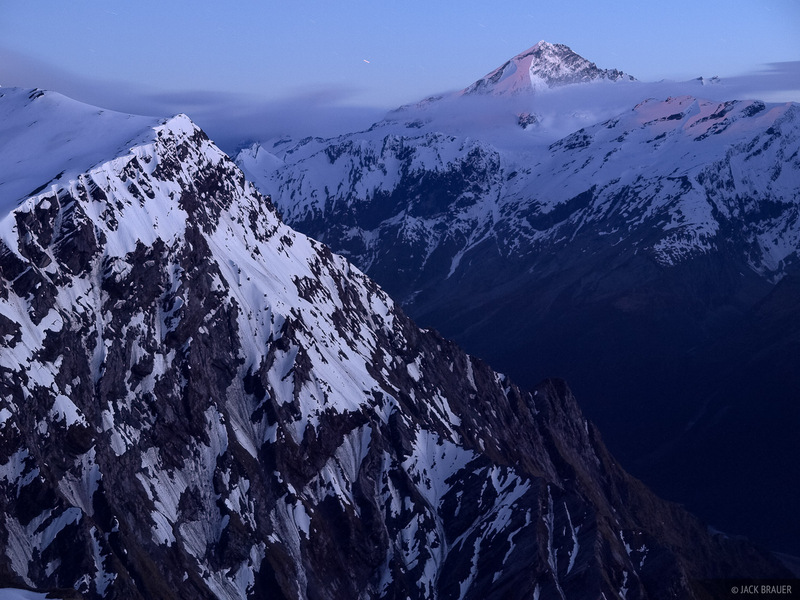 The area around Cascade Saddle is a landscape photographer’s playground, with a multitude of views, including glaciers, peaks, cliffs, streams, waterfalls, and all kinds of natural curves and lines. It would be especially nice in the summertime; however, while I was there there was still a lot of snow everywhere. Normally that’s not an issue, but this time the snow was not freezing at night, leaving a mushy mess and a struggle to venture around from my tussock island in the snow. The rotten snow also prevented me from doing some adventurous crampon-&-ice-axe hikes up some further ridges. Twice I turned back from further climbs as I was dissuaded by rotten snow on exposed snowfields. 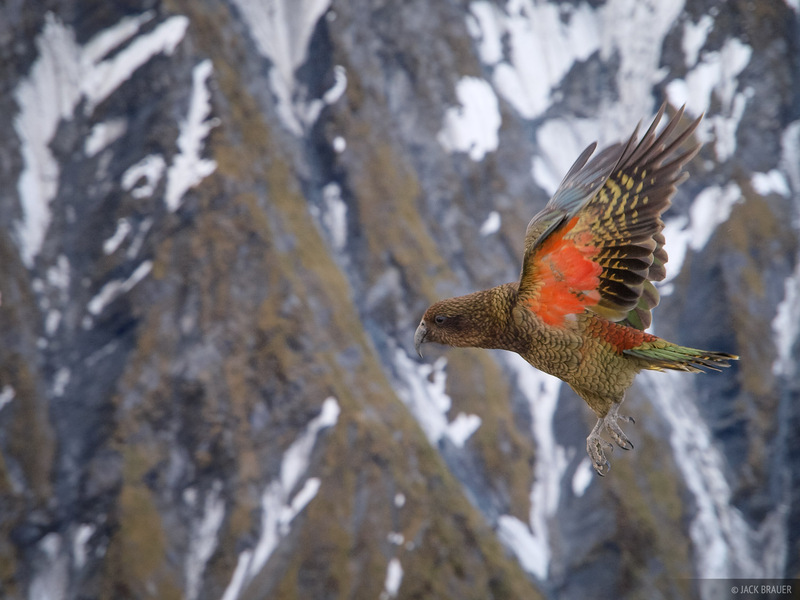 A kea in the high mountains of the Southern Alps. 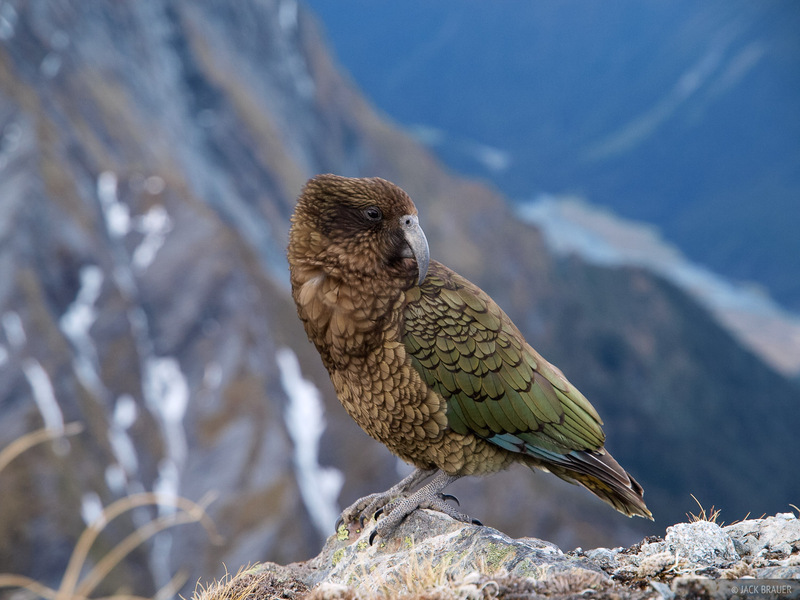 This is the only alpine parrot species in the world, and an almost constant companion while traveling in the mountains in New Zealand. These parrots are very smart, and also very devious. I heard many funny [infuriating] kea stories, and have a few of my own too. 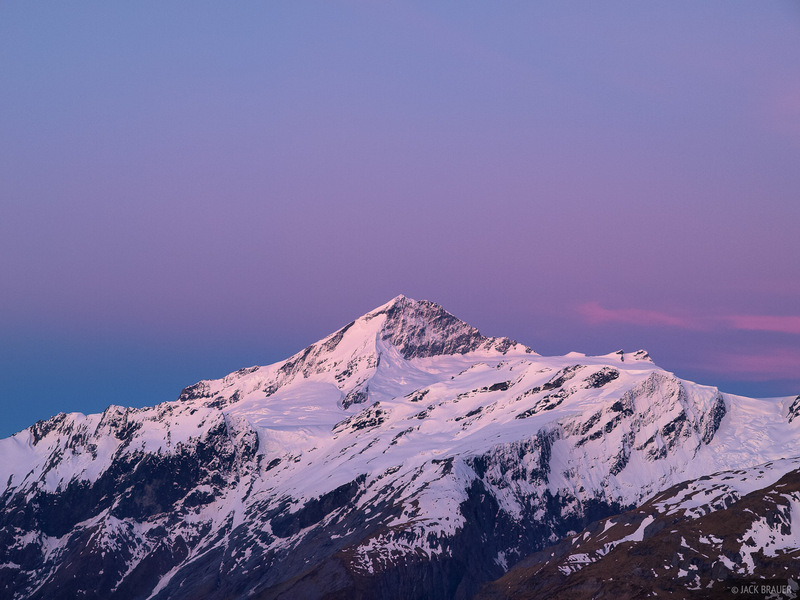 High in Mount Aspiring National Park, looking towards Mt. Aspiring, which is illuminated on both sides by the moonset and dawn light. 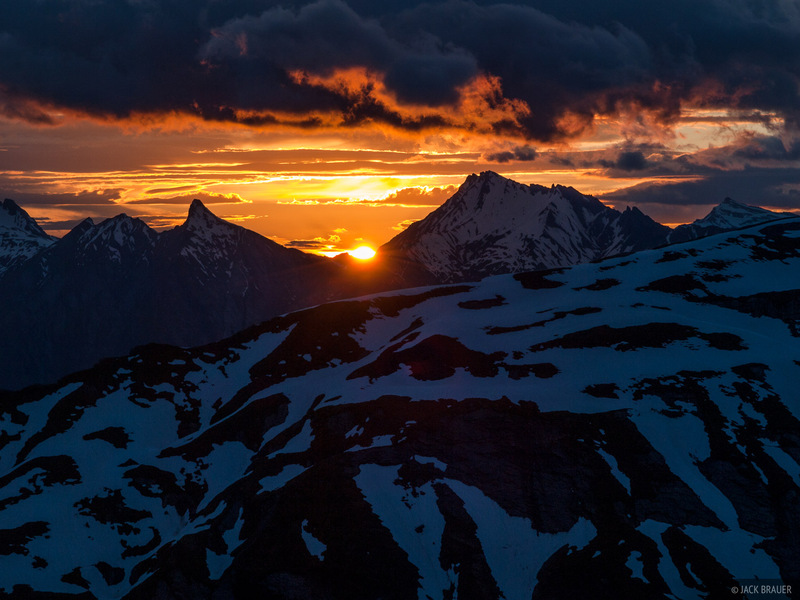 Sunrise in the Southern Alps. The weather was also fairly crappy – windy, with pesky clouds covering the peaks. Add to that the keas (alpine parrots) that kept me up at night trying to steal my stuff and cut my tent cords. So, I was fairly frustrated after all that, and after one night I left to hike back down. A short ways down off the saddle, I stumbled upon a nice flat spot on the steep descent, and decided to pitch the tent again for another night up high. This ended up being a wonderful spot and evening, with no wind and a stunning view of Mt. Aspiring and the Matukituki Valley down below. So, while the first night left me disappointed, the second more than made up for it. 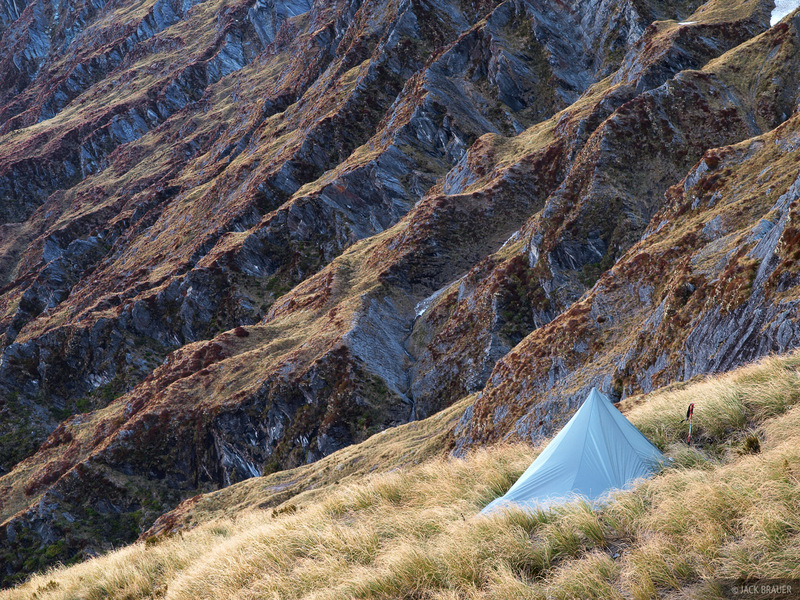 My tent on the steep tussock slopes of Cascade Saddle. 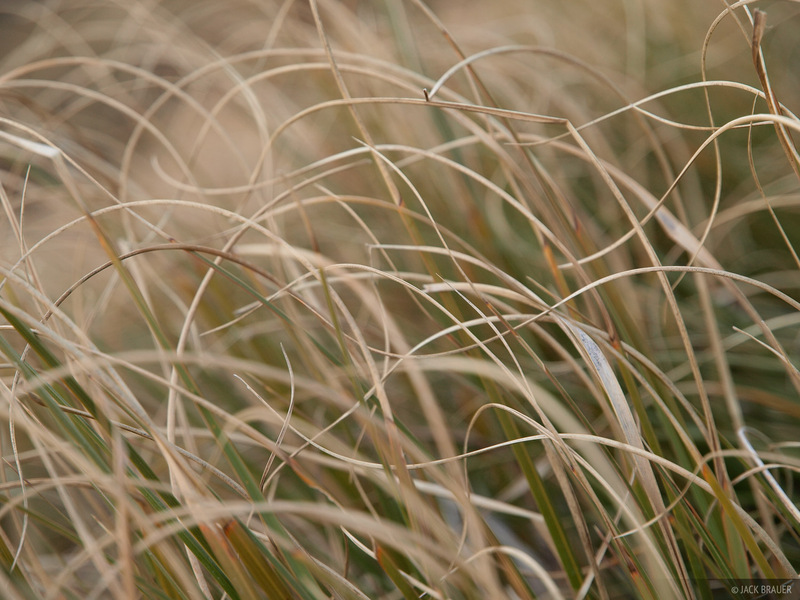 An abstract view of the tussock grass. This was taken on a rare windless evening, yet the pattern of the wind is still engrained in the grass. 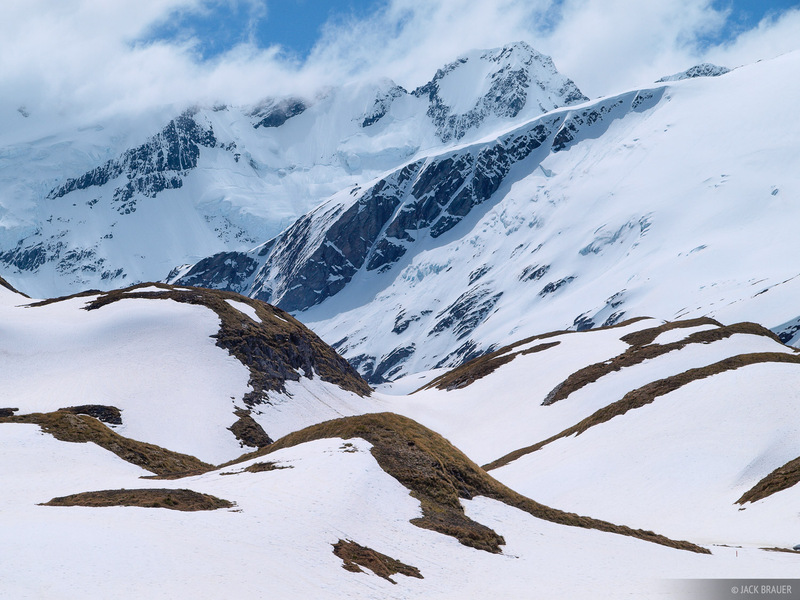 Panoramic view of the Matukituki valley in Mount Aspiring National Park. Mt. Aspiring is in the center-left distance, Rob Roy Peak is center. Dusk glow on Mt. Aspiring / Tititea - at 3033m (9950 ft) the tallest mountain in Mount Aspiring National Park. Posted in Backpacking & Trekking, New Zealand.